Hello! My name is Sarah. I was born and raised on the beautiful island of Oahu in Hawaii, surrounded by amazing cultures and stunning natural landscapes. Growing up, my family and I went on trips together all around the world to places like Egypt, Italy, Australia, Russia, Japan, Jamaica, and lots more! Through these trips, I was exposed to and inspired by the amazing cultures and viewpoints of people all around the world. I saw these as such shaping experiences that I wished other people could have these experiences too. When I finished high school, I decided I wanted to see what it would be like to live outside of Hawaii. I started attending a university in California, where, during my sophomore year, I was given the opportunity to study abroad for a full academic year in Europe. I decided to go for it. While in Europe, I travelled to dozens of different countries and had so many memorable experiences that I would not have been able to have on just a simple one-week trip to Europe. I started this blog to document the adventures I had in Europe. Now that I’m back, I’ll use it to document the adventures I have every day. Oh, and in case you were worried about my qualifications, I’ve also had my writing published in HONOLULU Magazine and Tripedia. 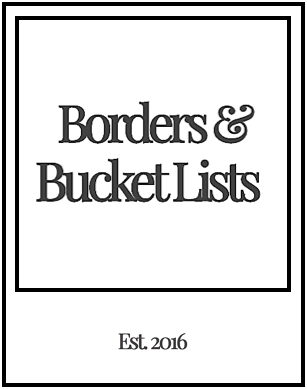 Interested in working with “Borders & Bucket Lists”? Refer to our Contact page.